Our DVD packaging solutions include full color inserts, booklets, and affordable sleeves. We have high quality options to suit every budget. The DVD is ubiquitous in our culture. DVD’s can be found at many retail outlets, at DVD vending machines, and on popular rental services such as Netflix. Moreover, the DVD format is unlikely to disappear within the next 10 years, mainly because a higher resolution format has been developed called Blu-ray. 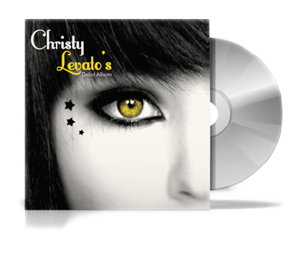 You can achieve high quality DVD cover printing at PrintFirm. 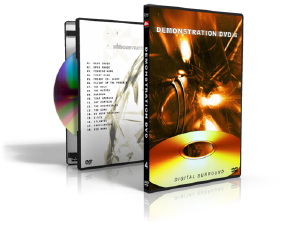 You can upload your own print-ready DVD cover design to our website, along with any photos, artwork, or text. If nobody in your organization is skilled at graphic design, you can select “custom design” on our website when you place your order. Our team of talented in-house graphic artists will create a design that meets your needs. PrintFirm recommends that you number multiple disc sets in order to reduce confusion for recipients. You can place those numbers on the DVD covers. If the multiple disc sets have similar artwork on the cover, it is especially important to number them. Verify that your text alignment for DVD cover printing is correct. Since a DVD cover typically wraps the text around the entire box, some alignments are tricky and should be checked carefully. Proofread your text before you proceed with DVD cover printing. A small text mistake can ruin an entire printing run. It’s a good idea to use more than one person to proofread the text. Extra people may catch mistakes that one person could miss. It will help if one of those people is a skilled editor. Maybe you have an English major in your organization who was a superb editor in college. If you are concerned about the lack of editing skill, you can hire a professional. Your DVD cover text should be as readable as possible to achieve better results with DVD cover printing. Avoid overly fancy fonts or fonts that are too small. Dark text on a dark background is not a good idea because that will reduce readability. Light text on a light background should also be avoided. It’s not a good idea to clutter the DVD cover design. There should be enough whitespace (area without design) to give the cover a professional appearance. However, too much whitespace is not recommended. An overabundance of whitespace will result in a boring design. DVD cover printing bulk orders will save you money. Since our offset printing press requires initial resources for setup, ordering as many copies as you can afford is a wise decision. For example, 5000 copies is much more economical than 1000 copies.